In the early days of housing construction, roofs that were also constructed where flat. This was generally because we didn’t know any better and it was also cheaper to build a flat roof. Unfortunately, a flat roof is very ineffective within our climate, and within a few years of putting up these roofs, they began to collapse. Nowadays when we construct houses and other buildings for the roof we use a timber roof truss. Feature roof trusses are a frame of kiln-dried timber that is strongly joined together using steal nail plates to produce an effective strong supporting shape for your roof. Roof trusses will be designed to suit your constructions needs. It will be efficiently measured and designed to fit your roof extremely accurately to make sure that there is no weakness. A roof truss needs to be accurate as to support your roofs coverings, plus any additional strength for the weather. There are three main characteristics which make up a timber roof trusses. Firstly, the timber needs to be lightweight but without any loss of strength and this is done by using kiln dried and strength graded timber. Secondly, the design of a timber roof truss is critical; any changes made without the go-ahead from a structural engineer can end in a collapse. Thirdly, the connection of the timber also needs to be precisely done by an engineer, as any changes within the blots, screws or pegs that hold it together could also decrease its strength and end up in a collapse. Timber roof trusses are very reliable, however, sometimes things can go wrong so you need to watch out for things that could cause failure. If your truss is exposed to damp over a long period of time, even if the timber roof truss is treated, the damp will affect the wood, leading to a decrease in strength. This is more common in an older building. Another damp related problem could come from rot and insect damage. Again this will affect the strength of your truss. This is again common in older buildings where the ends of the trusses are supported by stone walls. Joint failure is again common in older structures where the trusses have been connected by Mortise and Tenon joints, as these can be eaten by woodworm. A timber roof truss is essential in roof construction, and providing you consult a good company with a great roof trussing reputation, your roof truss will be extremely reliable for years to come. For a strong Timber Roof Truss of any size for your construction look no further than Aber Roof Truss. 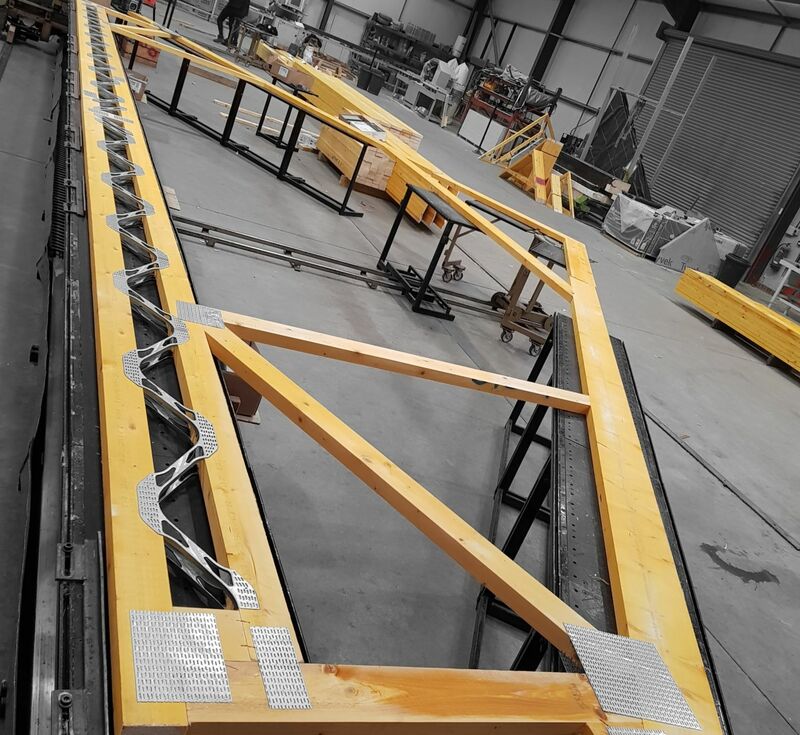 Should you wish to get in touch with the team to discuss your roof truss project, do not hesitate to contact us today.